Jelly beans inside and out. The bright colors of jelly beans are so vibrant and pretty. They definitely add eye appeal to a dessert. Well maybe not the black or white jelly beans but the colored ones sure do. 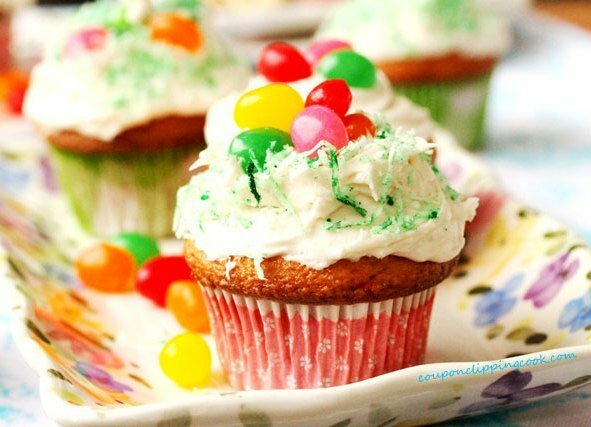 In this cupcake recipe there are jelly beans inside and out. These cupcakes can be made into regular size or mini cupcakes or a combination of both. 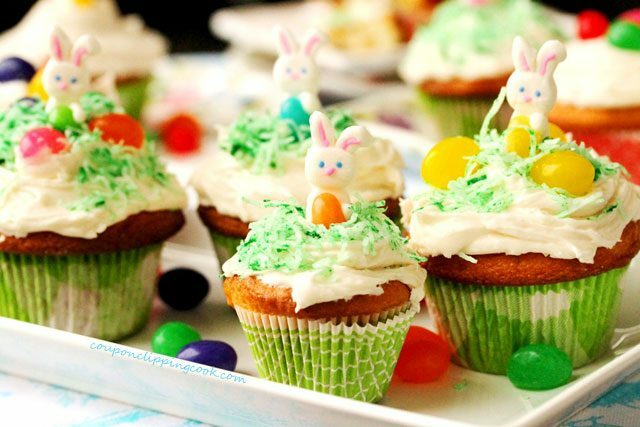 The inspiration for these cupcakes are these super cute little candy bunnies holding jelly beans that I found in the store. 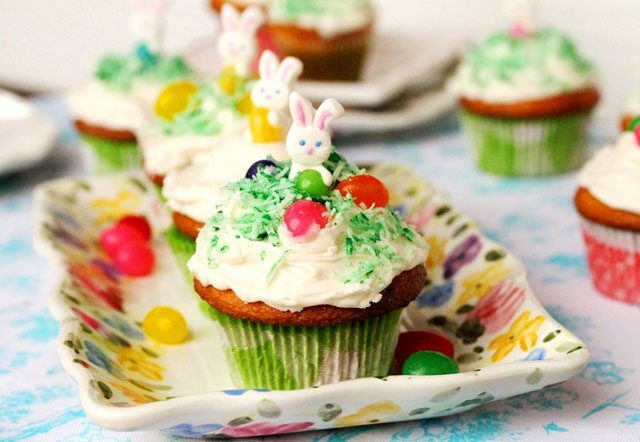 Since these candy bunnies needed a comfy place to sit, on top of a cupcake seemed like just the place. The cupcake is made from a box of white cake mix but any flavor of cake mix can be used instead if preferred. 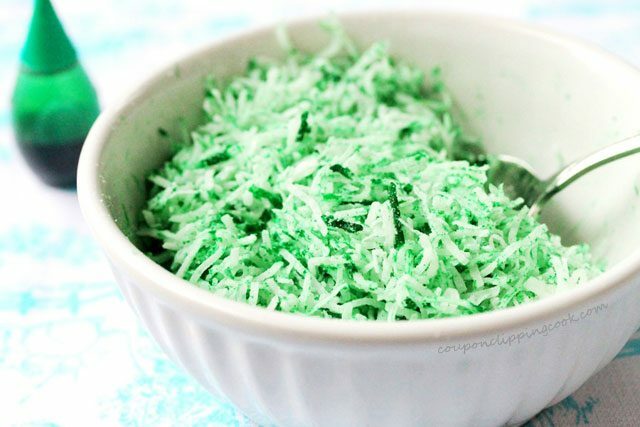 The edible grass on these yummies is made out of shredded coconut and green food coloring. 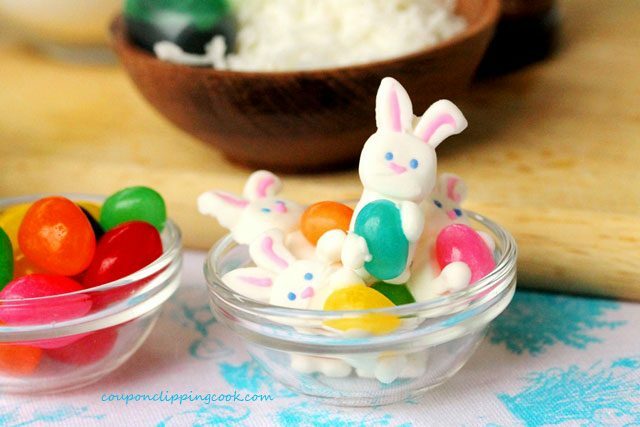 Basic flavored large jelly beans are used for this recipe but feel free to use other flavors. 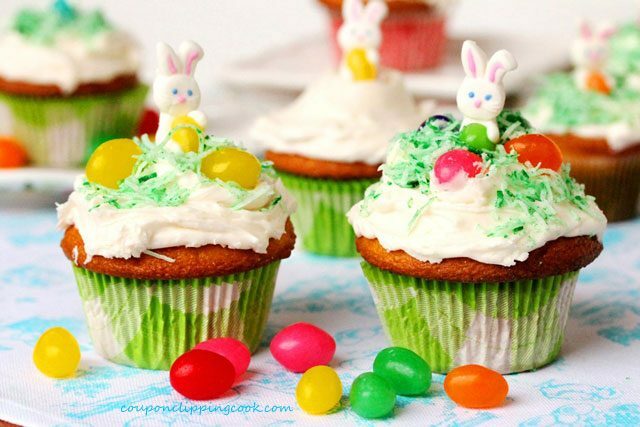 The jelly beans on the inside of these cupcakes are cut pieces of whole jelly beans that are added to the batter before baking. All of the colored jelly beans are used except for the black and white ones. 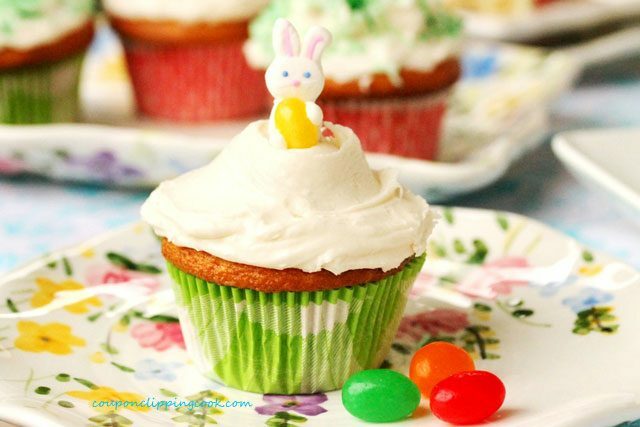 There’s also a whole jelly bean that’s pushed inside the top of each baked cupcake just before frosting them. 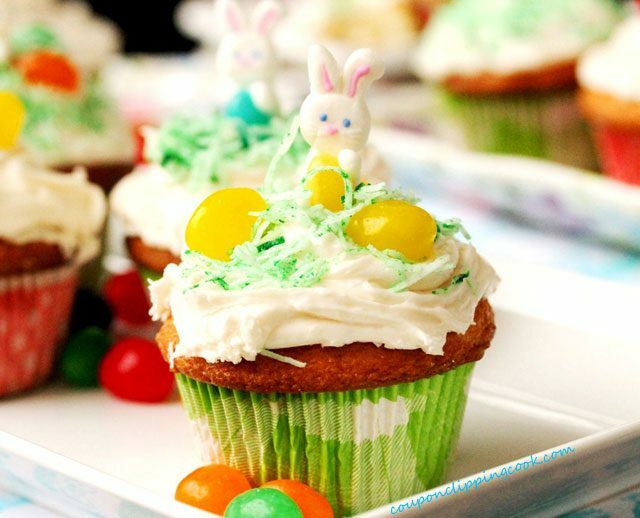 TIP – For a kid’s party, a fun thing to do is put a particular colored whole jelly bean in just one of the cupcakes and whoever gets that cupcake wins a prize. I would have loved that when I was a kid at birthday parties. Preheat the oven to 350 degrees F. (or according to package instructions). Beat with a mixer on medium speed for 2 minutes or whisk by hand for 2 minutes (or follow package instructions). 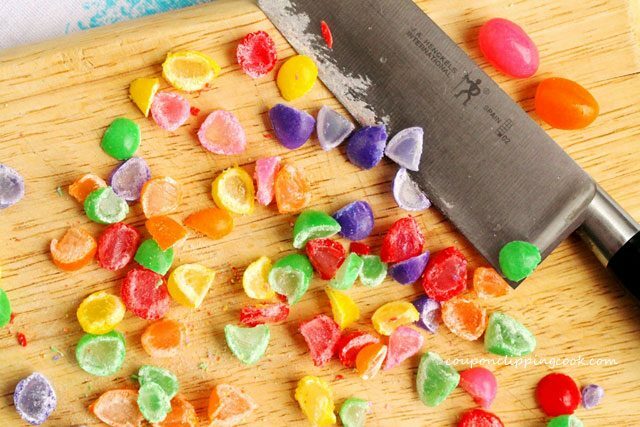 Cut the jelly beans into pieces (cut each jelly bean into 3 or 4 pieces if possible). 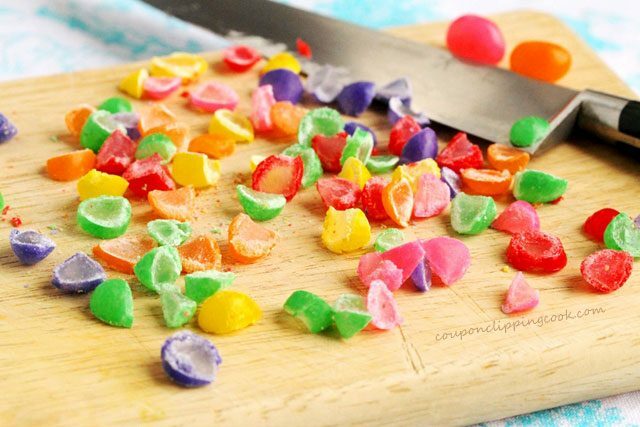 …to the cake batter stir in the cut pieces of jelly beans. Line the cupcake tins with paper baking liners (this recipe should yield about 16 regular size cupcakes). 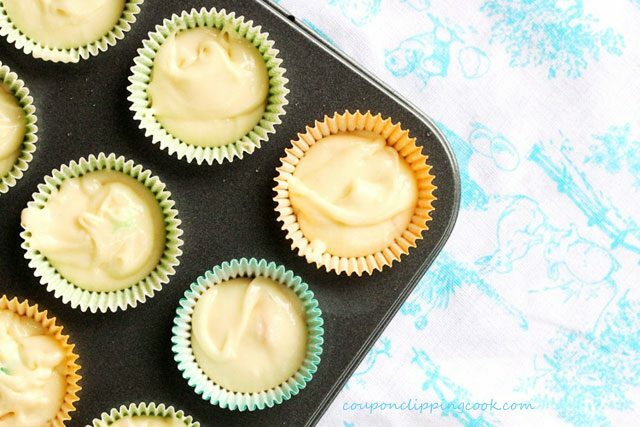 Fill each cupcake liner 2/3’s full with batter. Bake in the preheated oven according to package instructions (when a wooden toothpick inserted in the center of a cupcake comes out clean) (about between 18 and 22 minutes). 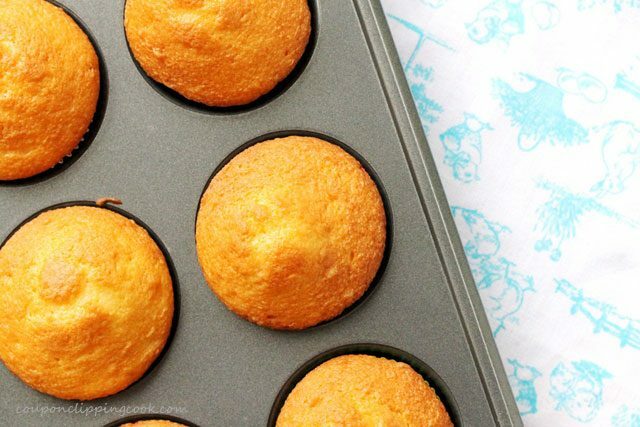 Carefully transfer the cupcakes to a rack and let them completely cool before frosting them. 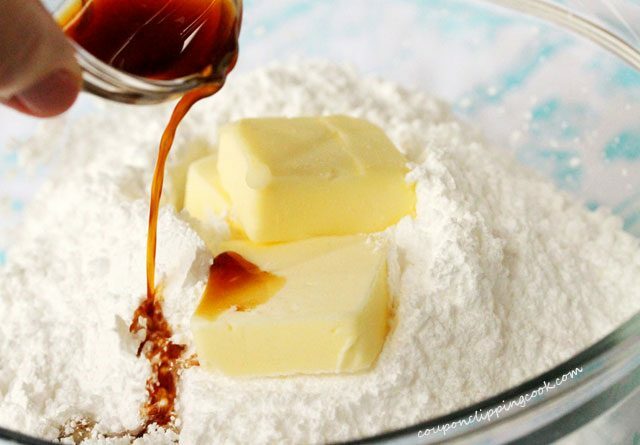 To a medium size bowl, add powdered sugar, softened butter, and vanilla extract. To the bowl add milk. 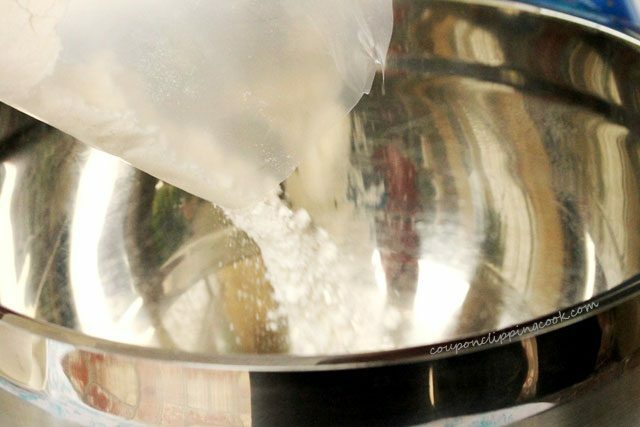 Set a mixer to the slowest speed and beat the ingredients very carefully so that the powdered sugar doesn’t fly out of the bowl. 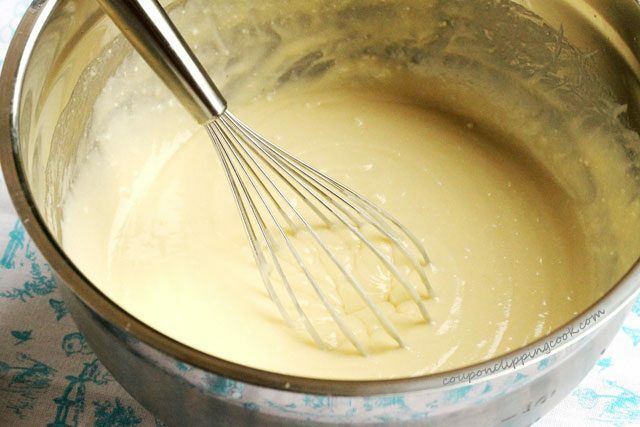 Once the powdered sugar starts to mix in with the butter and milk (about two minutes), then increase the speed on the mixer and beat the ingredients until smooth (about another 3 or 4 minutes). Set aside for a moment while preparing the green coconut grass topping. 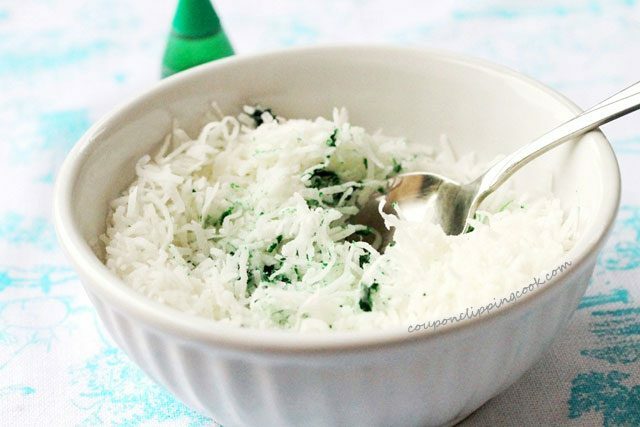 For the Green Grass – To a small bowl, add shredded coconut and 15 drops of green food coloring. 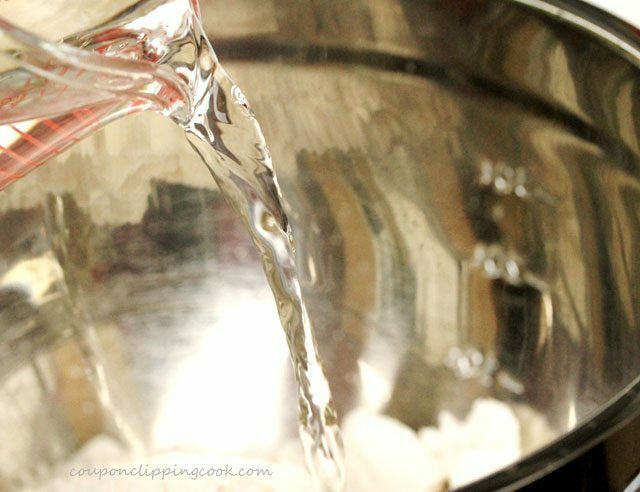 …mix together until the coconut is coated. 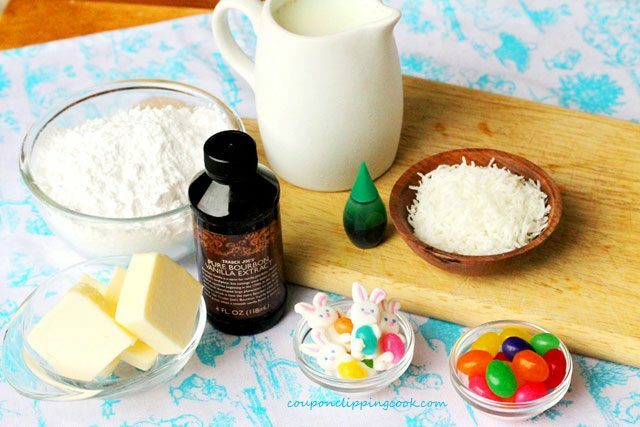 If a darker color of green is preferred, add a few more drops of green food coloring and mix together. 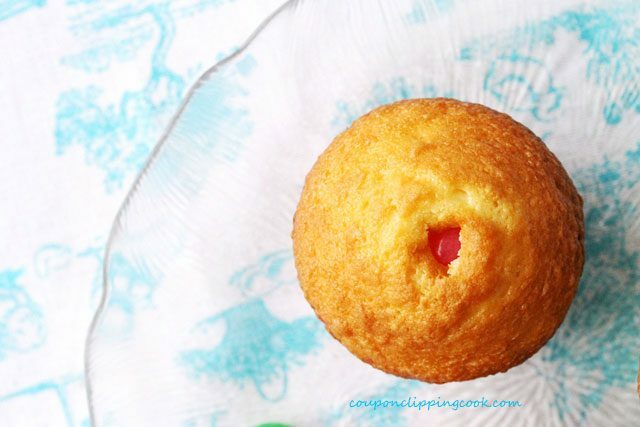 Before frosting the cupcakes, push a whole jelly bean into the top of the cupcake down about an inch. 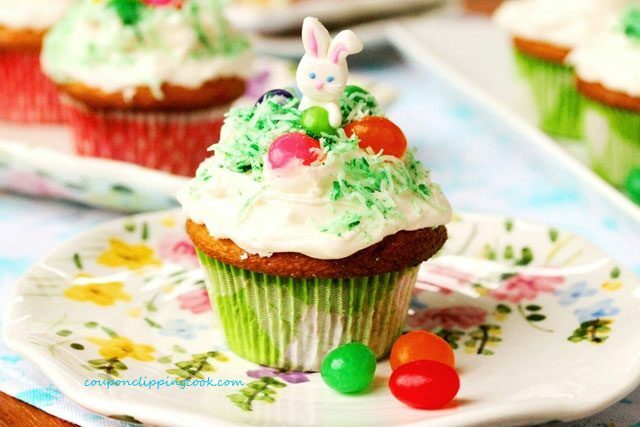 Frost each cupcake one at a time and right after frosting it add the green shredded coconut (so it will stick to the frosting), jelly beans and decorative candies on top. 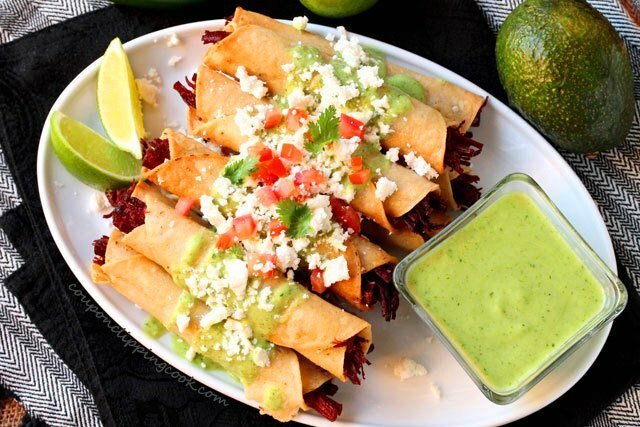 Next, it’s time to dig in and enjoy each bite. 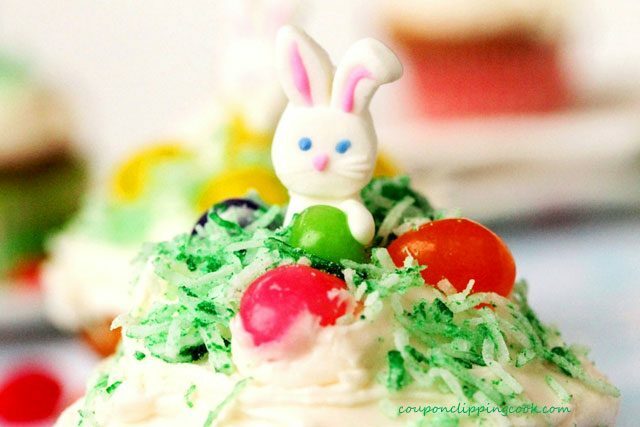 These cute little candy bunnies even have whiskers. …and on the frosting too. This is one comfy candy bunny. Preheat oven to 350 degrees F. (or according to package instructions). 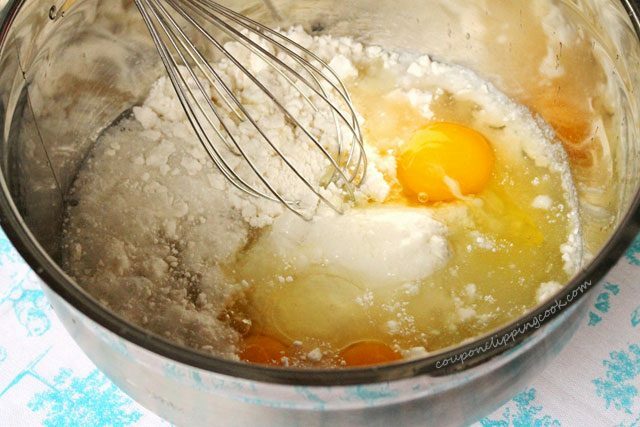 To a large mixing bowl, add cake mix, water, eggs, and canola oil. 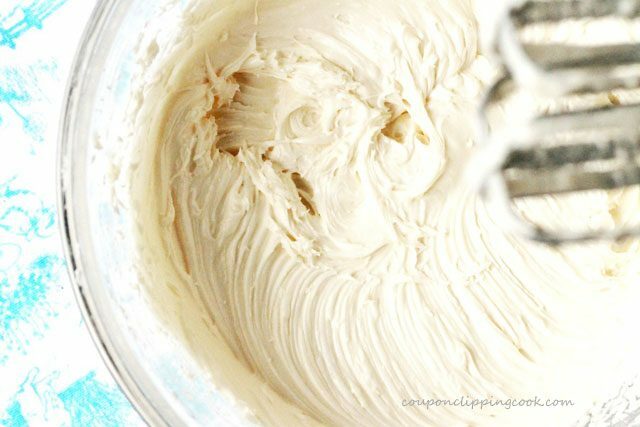 Beat with a mixer on medium speed for 2 minutes or whisk by hand for 2 minutes (or follow package instructions). To the cake batter stir in the cut pieces of jelly beans. Line a cupcake pan with paper cupcake liners (this recipe should yield about 16 cupcakes). 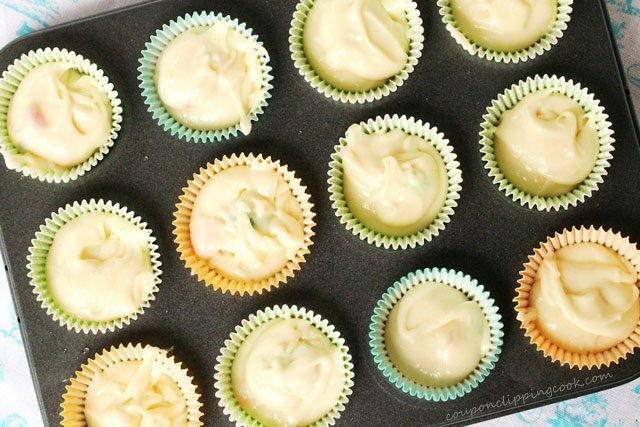 Fill each cupcake liner 2/3's full with batter. To a medium size bowl, add powdered sugar, softened butter, vanilla extract, and milk. 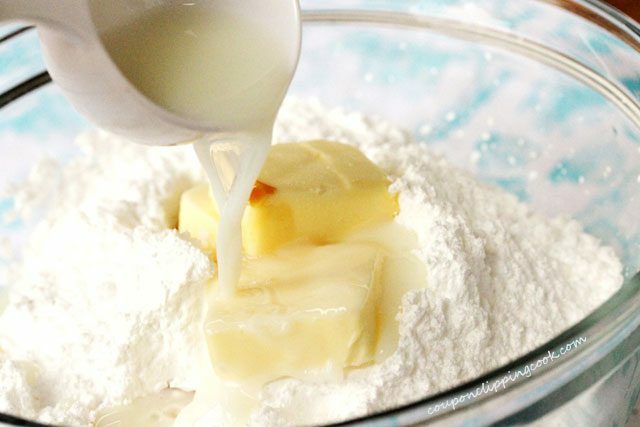 Once the powdered sugar starts to mix in with the butter and milk (about two minutes), increase the speed on the mixer and beat the ingredients until smooth (about another 3 or 4 minutes). Set aside for a moment while preparing the green coconut grass topping. 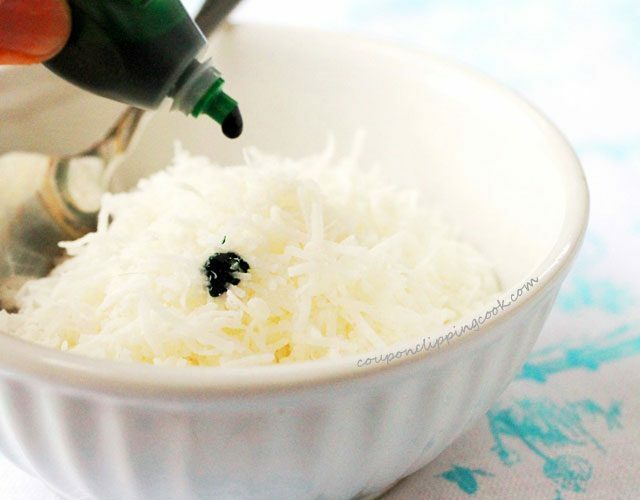 For the Green Grass - To a small bowl, add shredded coconut and 15 drops of green food coloring. Mix together until the coconut is coated. 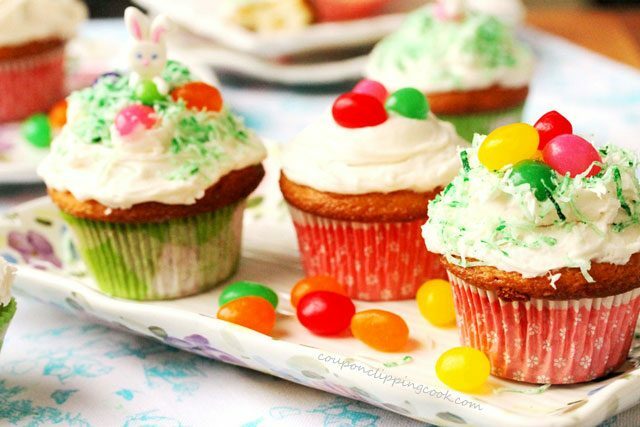 For a kid's party, a fun thing to do is put a particular colored whole jelly bean in just one of the cupcakes and whoever gets that cupcake wins a prize. Hi Brendon, I’m sorry but I don’t have any pictures of the cupcakes cut open. The small pieces of jelly beans kept some of their texture. I used jelly beans that are like jelly bellies but they were about twice the size. Hi CJ, thank you for the invite and for stopping by! Have a great rest of the week. Hi Savannah, so glad you like them and thank you very much for sharing them with your readers. I’m coming over to check out your site out now. Have a great day! how adorable are these cupcakes! 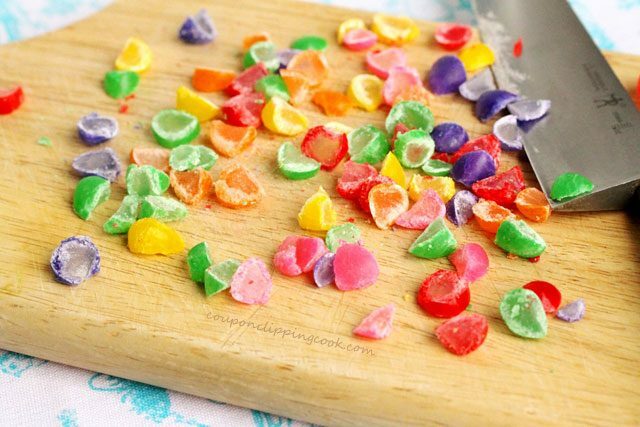 great idea to put the jelly beans in the batter. Love your presentation. 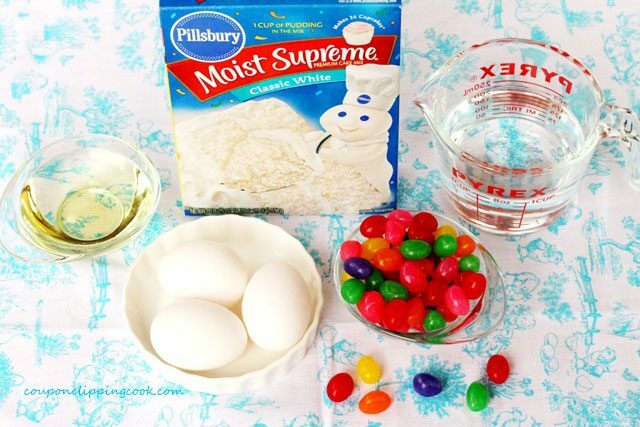 What a great idea to put jelly beans in the cupcake batter! 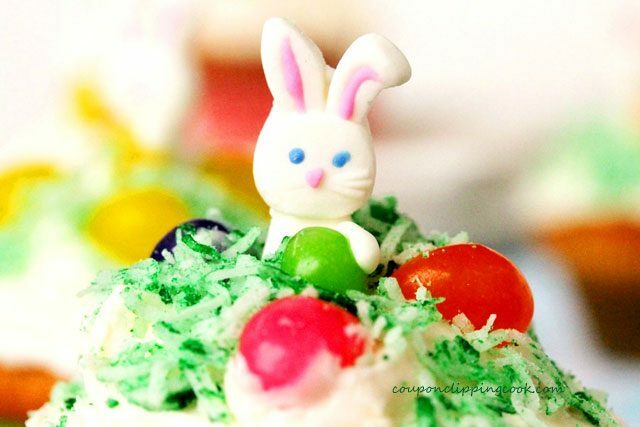 What a tasty Easter Treat! How cute are these cupcakes! the kids would go crazy about them! Hi Medeja, they are a fun treat for big kids too! Have a great day.